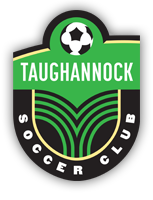 Below are 2 forms each player needs to fill out each year that they participate in Taughannock Soccer Club programs. Medical Release Form (PDF) Important for the health and safety of all players. Code of Conduct Form (PDF) Each player AND PARENT must review our code of conduct. Game and practice conduct is an important issue in all youth sports, and parents are subject to the same good behavior we expect from our players. Coach’s Qualifications Form (PDF) For coaches to complete when they are new to the club. USYSA Concussion Notification Form (PDF) Coaches should download and print a few of these to keep with you in case a player is suspected of a head injury on the field. Winter indoor was a great opportunity to fine tune your skills. Now we’re looking forward to our outdoor sessions starting in late April. If you are interested and need more info, please visit this page to find out more.